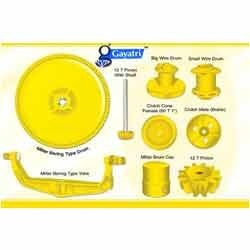 Providing you the best range of concrete mixer spare parts and concrete mixer rings with effective & timely delivery. Our company is topmost manufacturer, supplier, exporter and wholesaler of Concrete Mixer Spare Parts which have outstanding quality and excellent performance. Immensely used across the industries, these enjoy special status among our industry experts. Splendid finishing, trouble free operation and efficiency are the hallmark of these concrete mixer spare parts. In addition to this, these spare parts are available at reasonable prices. Our company has earned name and fame in the manufacture, supply, export and wholesale of Concrete Mixer Rings which are developed from the supreme quality of material and coated with rust free item which renders glossy appearance to these rings. Recognized for their high tensile strength, the professionals from construction industry utilize these rings for various purposes related to construction. To add on, these rings are available in different types which are Miller Ring, Small Ring, Solid Ring etc. 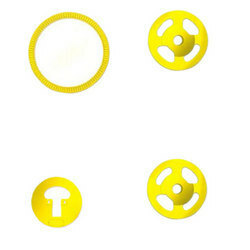 Rings Available: Miller Ring, Small Ring, Solid Ring, Baby mixer ring, etc. Looking for Concrete Mixer Parts ?